Go Services Inc. is an Alberta based, employee owned and operated company. Our focus is to listen to you, the customer, and identify your needs for Equipment Rental and Services. With this in mind, we are able to build a custom rental and service package for your job site. Our customer requirements can be as simple as a single Porta-Potty Rental – all the way to providing full site services and rentals for pipeline and drilling sites. Furthermore, we are able to help coordinate Special Event Rentals. This would include music festivals, fundraisers, as well as Wedding Rentals. There is no site too big, or too small! Our management team is hands-on in our day to day operations, as well as our rental and service operations. Without a doubt, we understand and respect the complexity of industrial and oilfield sites. Further, we are able to offer our services for weddings, anniversaries and special events. We maintain a special fleet of our rental options just for these events due to their unique nature. The management team of Go Services Inc. takes our customers needs seriously, and we make a conscious effort to personally connect with each of you! Our Central Alberta company, Potty Go Rentals, was founded in 2003 when Devin Cabelka purchased a small portable toilet rental business. Shortly after, Potty Go Rentals grew organically with an increase in customer base and services provided. We expanded to include full site services for all customer markets that include industrial, commercial, oilfield and special events under the name of Go Services Inc.. It was then, in 2011, we began to provide services and rental equipment across Alberta. Our growth through the past 12 years has been based on honesty and integrity. We work hard to provide our customers with full disclosure, up-front pricing, as well as no hidden costs. We believe strongly in giving back to minor sports, community events and charity. With this in mind, we do our best to ensure that our character is maintained through every aspect of our operations. 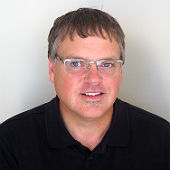 Devin is responsible for overseeing all areas of Go Services Inc. and ensuring that each division is functioning in the most effective manner. 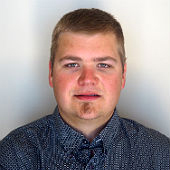 Devin is integral in the day to day operations of Go Services Inc. and enjoys interacting with our customers on site. 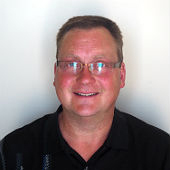 Dustin takes care of all of our sales, as well as our rental coordination and service needs. At the same time, he manages all of our marketing, all the while listening to our customer needs and using that info to coordinate the most effective options for each job site. Kent manages our customer service and dispatch department. Kent is responsible for coordinating our drivers and service operators to maximize our efficiency, allowing us to provide exceptional, timely service. Colleen has the responsibility of overseeing all administrative responsibilities. 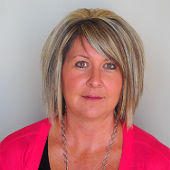 She is therefore in charge of our accounting, safety program and assisting with sales, marketing, and dispatching.